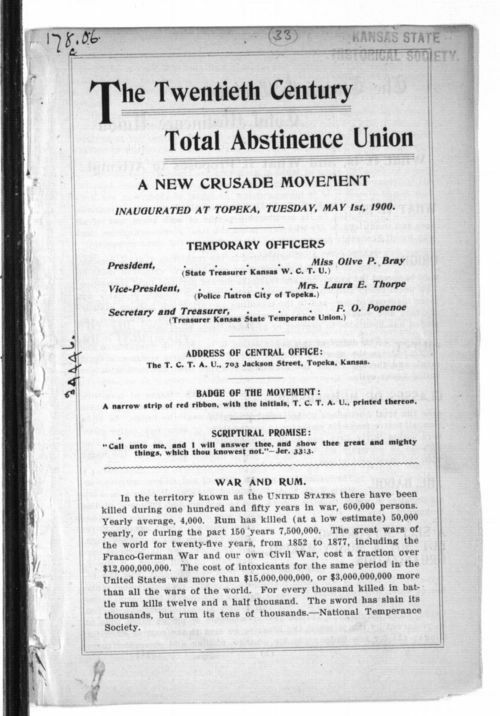 This pamphlet lists the purpose and objectives of the Twentieth Century Total Abstinence Union. This union wanted to build a strong sentiment for the "total destruction of the entire liquor evil". The pamphlet also lists the T.C.T.A.U. abstinence pledge, a list of their temporary officers, and Dr. Theodore Cuyler's Six Reasons for Teetotalism.